The PlayStation AV Multi Out connector has everything you'll ever need for connecting it to the machine of your choice, except RF and Component. 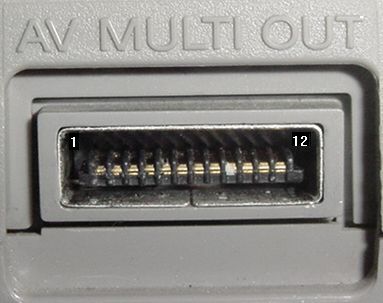 The PlayStation 2 and 3 use the same connector, except that the RGB lines double as component video. Switching between the two is handled in the system menu on both systems. 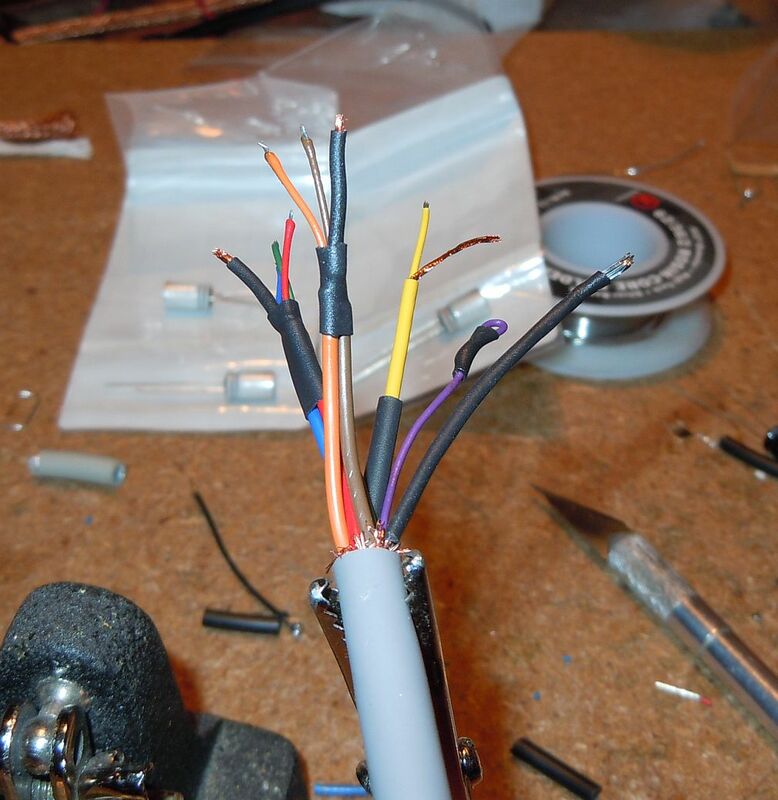 Note: You must add a 220 uF capacitor in each of the RGB lines (+ towards console) to get an acceptable picture. If you don't, the picture will be too dark and you won't like it!! Note: You will need to use an LM1881 or similar circuit to strip the sync from the video line, as using RGB with composite video as sync will cause crosshatching on certain colors. You can also use the luma signal as sync to avoid this problem. The PlayStation 2 can do VGA through this port, however it is software controlled, and since there aren't enough pins for H+V Sync, it uses Sync-On-Green, which not all monitors support. For reference, here's the pinout I use to connect all my systems to my monitors. A single common pinout means I don't need a seperate monitor cable for each system. : This page could use new pictures. Cabling configuration of official Sony PlayStation RGB cables. The official cables have 6 mini coaxes (R/G/B/Cv/L/R), a single conductor for +5VDC, and a drain wire for the braided shield.